Certain appliances like the dishwasher and the refrigerator are indispensable in the kitchen. Others might seem like luxuries at the first glance, but they can in fact provide you with many benefits. Such is the case of the bread maker, one of the newest kitchen appliances. 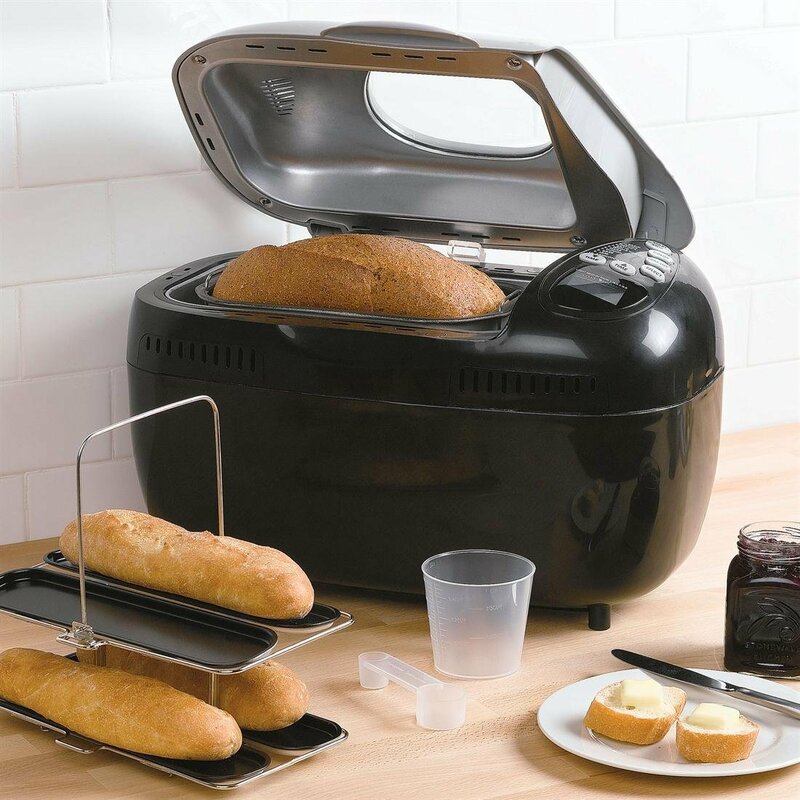 This little appliance can provide you with healthy and delicious bread, for only a fraction of the cost of the supermarket bread. Moreover, this machine gives you full control over the bread ingredients, so you don;t have to worry about unhealthy preservatives and other chemicals. Nonetheless, not all bread makers are equally efficient. We have put together a few guidelines to help you find the best bread machine for your needs. First of all, you need to decide what your needs are in terms of bread. Start with the size. For instance, if you live alone, you should choose a smaller machine that can prepare 1 pound loaves. On the other hand, if you live with your family, choose a bigger unit that can handle loaves bigger than 2 pounds. Another thing you should consider is if you need a special type of bread. For example, do you have any intolerance. If so, you should make sure to buy a machine that can bake with the ingredients that you want. All manufacturers will claim that their products are the best. However, the only way to know for sure which are the best machines, is to read some reviews. We advise you to go to breadmachinemom.com to get bread making machines reviews. The reviews will highlight the pros and cons of each unit, and they will also help you compare prices and features. Some devices can be pretty basic, while others feature a lot of fancy features that most people don’t need. However, there are some basic features that you should make sure to look for. One of the most important such features has to do with the paddles. You need to choose a device that either has collapsible paddles, or it has an option that allows you to manually remove the paddles before the baking cycle starts. Otherwise, you will find yourself with a big hole in your bread. A quick baking feature can also be very helpful, as it allows you to prepare the bread before important events. Last but not least, if you want to enjoy the true convenience of a bread maker, make sure it features a delay timer. This will allow you to program the device to start at a certain time. You can program it in the morning and come home from work to a hot loaf of bread. You could also program it in the evening to enjoy fresh bread at breakfast.